Chinese New Year 2014 is this week! How's your Chinese New Year shopping and hair and nails preparation been going? I pretty much done everything, now is waiting for my class to be over so that I can balik kampung. Didn't know what colour I wanted, I've tried all the colours that I want for the past 6 months. Blue is my colour for sure, but I don't know how can I do it anymore. So I leave the colouring style to Sato-san, and just enjoy my reading there while waiting for my hair done. 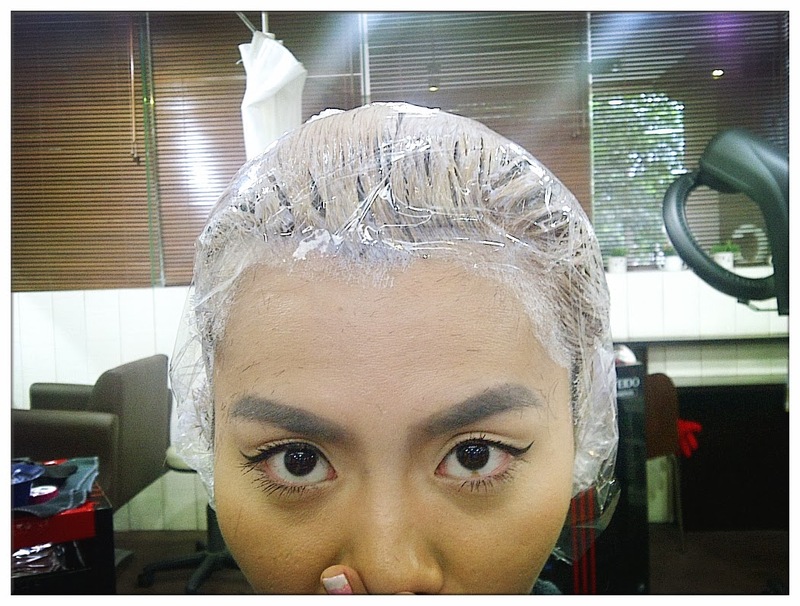 You know, the down side of having super short hair is the colouring style are so limited you run out of idea. 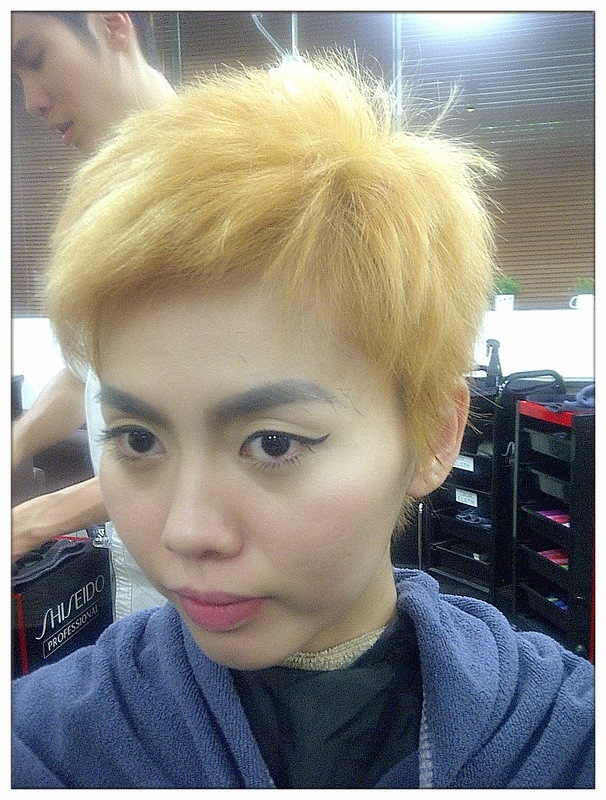 Somehow reminds me of Gackt when his hair was blonde. Trimmed my hair to make it shorter. Maintain short hairstyle is way more difficult than maintaining your long locks as they will run out of shape as fast as in 2 weeks time. I cut my hair the 3 weeks ago and it's already out of shape. This time, decided to go super short because you know, nobody cuts hair during Chinese New Year according to the Chinese beliefs. So yea. 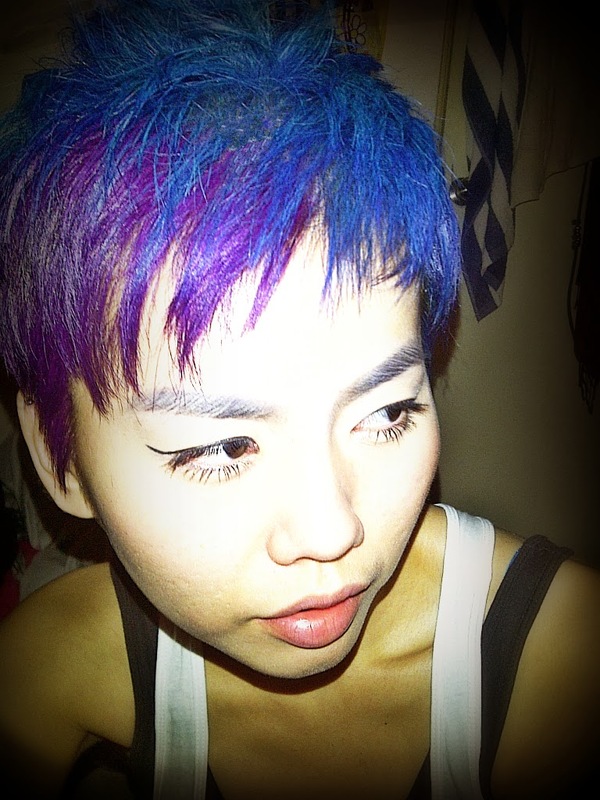 Chose blue and purple manic panic hair dye in the end, and keep urging Sato-san to keep cutting my hair shorter. He kinda hesitated, you know, it's HAIR, O'GLORIOUS HAIR for girls that sees them as crown, but not me. hoho. 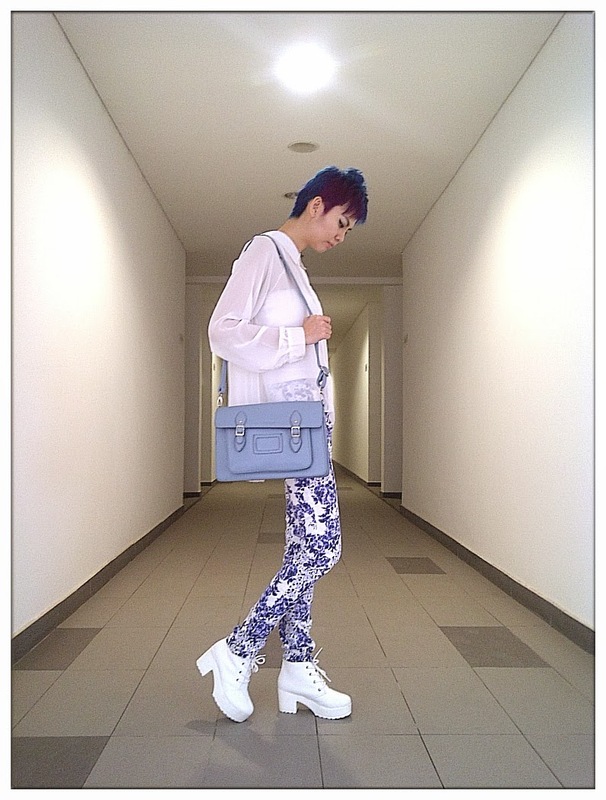 He say this style is SUPER SHORT. lol. I agreed, it is kinda short, but it will grow long, that's how I console myself. Really like the section when blue meets purple. Thanks to Sato-san for the style. The problem of having short hair, is to change your wardrobe to something less feminine. 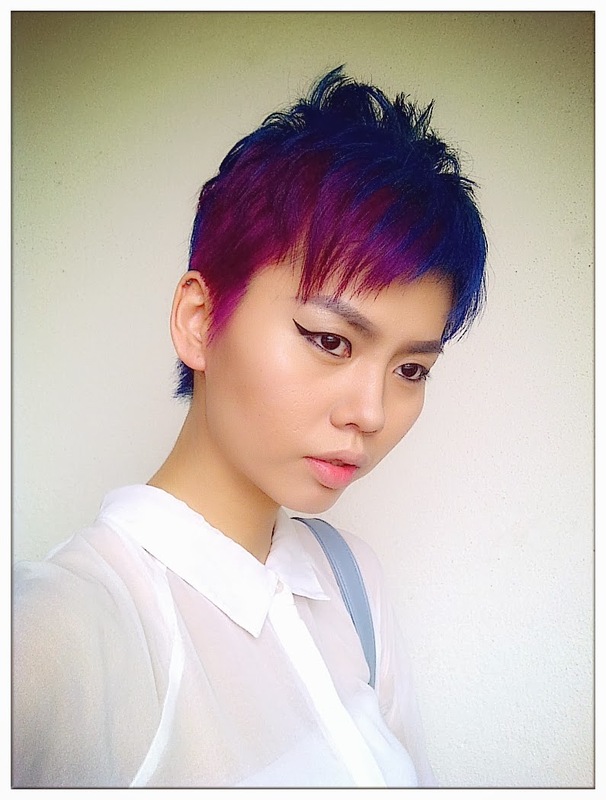 The problem of having short hair + crazy colours is to.... I don't know... Buy every piece new? Kinda headache now as I bought my Chinese New Year clothes wayyyyyyy before I cut short my hair. So now it's kinda limited to only some that I can wear. Gah. But nonetheless, it never stopped me from loving the person I see in the mirror nowadays! Sheer Shirt + Pants + Boots = Less than RM100!!! Thank you Number76 and Sato-san for fulfilling all my crazy request of hairstyles. They definitely can fulfill whatever needs that you wanted for your precious locks (for my case, my not-so-precious-locks lol). So call and make an appointment for your CNY makeover now before they close for Chinese New Year holiday!